April 15 – The Russian Aerospace Force expects that the first S-500 antiaircraft missile system prototypes will be developed soon, Aerospace Force Air Defense Chief Viktor Gumyonny said on Friday. “We expect the first prototypes of the S-500 antiaircraft missile system soon,” he said in an interview with TV Channel Rossiya-24. The R&D work on the S-500 air defense system is nearing comp…letion while the tests of the S-350 complex are currently underway, he said. “The prototype tests of the antiaircraft missile system S-350 Vityaz of the air defense forces are currently going on. The first launches have been successful and the system has proved its characteristics and will be used on a large scale for the replacement of the antiaircraft missile system S-300PS,” Gumyonny said. Aerospace Force Commander-in-Chief Viktor Bondarev earlier said the S-500 system might start arriving for the Russian Armed Forces already in 2016. According to the commander, the advanced S-500 system will be capable of intercepting targets at an altitude of up to 200 km. The first regiment of S-500 antiaircraft missile systems is expected to provide cover for Moscow and central Russia. 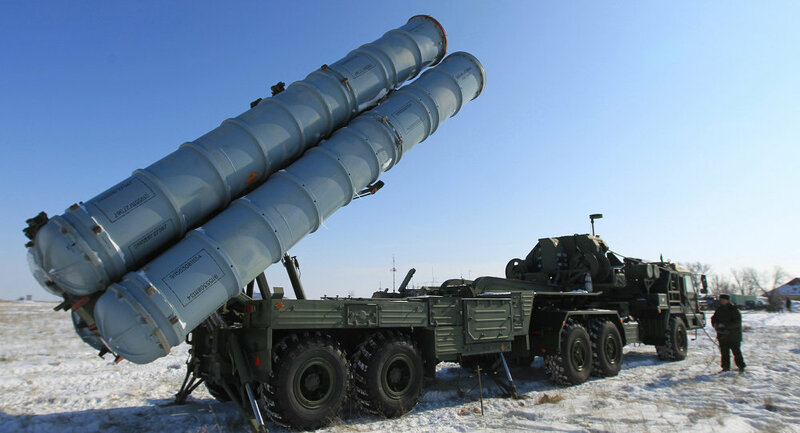 Russia’s newest S-500 Prometey system, which is expected to begin tests shortly, will be a major upgrade to the state-of-the-art S-400 complex and will, according to member of the advisory council of the Military-Industrial Commission Viktor Murakhovsky, be second to none. The cutting-edge S-500, designed by Almaz Antey, is said to have a maximum range of 600 kilometers (more than 370 miles). The highly-mobile system could simultaneously intercept up to ten ballistic missiles traveling at a speed of 5 kilometers per second. The system is so good, that “many US defense officials worry that even stealth warplanes like the F-22, F-35 and the B-2 might have problems overcoming” it, defense expert Dave Majumdar wrote for the National Interest earlier this month.As a result, the S-500, also known as 55R6M Triumfator-M, will most likely form the basis of the country’s multilayered air defense system as soon as it becomes operational in the coming years. First prototypes are expected to begin tests later this year. The Russian Armed Forces reportedly plan to purchase ten S-500 battalions.